Location: Amberley, West Sussex, England. Ownership / Access: Hotel.Andrew and Christina Brownsword. Notes: Amberley Castle stands in the village of Amberley, West Sussex (grid reference TQ027132). 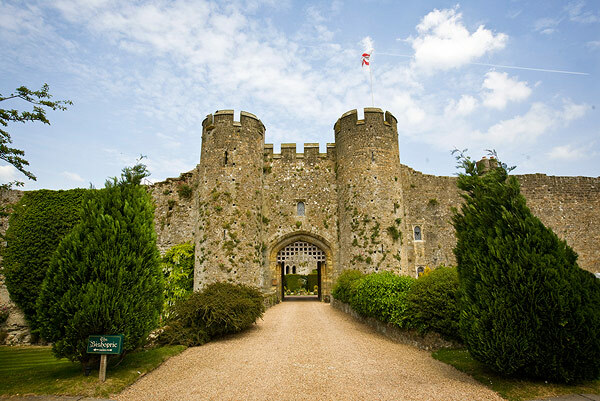 The castle was erected as a 12th-century manor house and fortified in 1377, giving it a rhomboid shaped stonework enclosure with high curtain walls, internal towers in each corner, a hall and a gateway. It was used as a fortress by the bishops of Chichester. The walls, gateway and two of the towers remain as a Grade I listed building and are now in use as a privately owned hotel.